Or, get it for 66800 Kobo Super Points! Autonomic surgery is an important and expanding field within contemporary clinical practice. 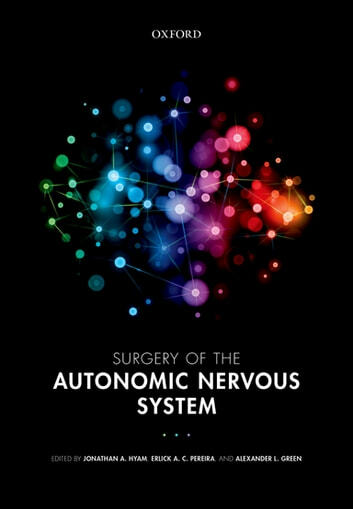 Surgical therapies influencing the autonomic nervous system have historically entailed disabling various components of its network by injurious methods. More sophisticated techniques have now emerged to allow modulation of neural function by electrical implants or by preservative surgery. This has fuelled the expansion in this field as safer therapies with greater scope for patient benefit have become available. As the potential for precise neural manipulation has advanced, so has the number and diversity of diseases which have become amenable to such therapies. This book reviews the basic science underpinning the autonomic control of various body systems and the state-of-the-art clinical applications by which these systems are surgically modulated in patients today. Clinical chapters include details of the procedure, operative considerations, outcomes, adverse effect profile, post-operative management of such patients and reflections on personal experience. Autonomic surgery can be applied to a wide variety of diseases affecting large numbers of the population such as angina pectoris, hypertension, orthostatic hypotension, sexual dysfunction, regional pain syndromes, headache and epilepsy.